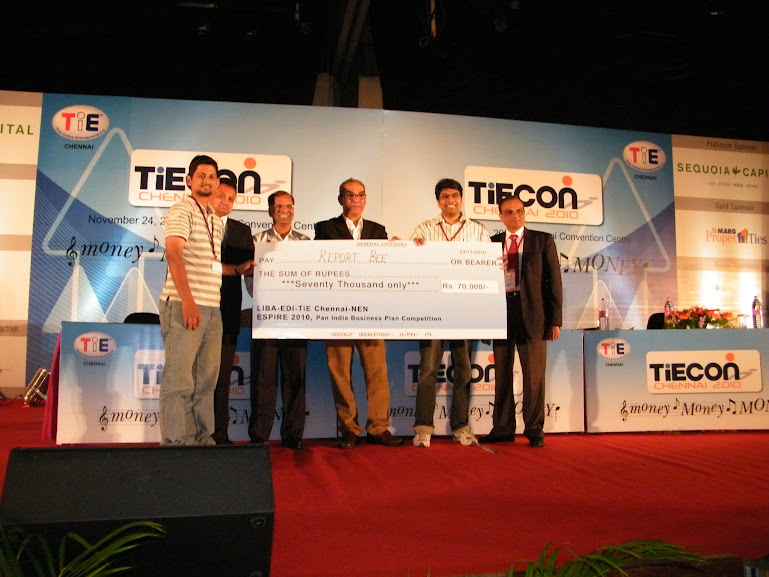 Report Bee wins pan India business plan competition conducted by TiE, LIBA, EDI and NEN. Starting the first post with an exciting news, Report Bee won the 1st prize in pan-India business plan competition espsire 2010. The whole experience was good learning and sharpened our thought process about Report Bee. We are extremely thankful to the jury, organizers and volutneers of espire 2010. This has charged us to move even faster and create compelling product. Report Bee team is small just about 3, but we have been showered with support and guidance from many super smart people, which is Report Bee’s true strength. We are energized to innovate faster. Next PostReport Bee logo animated.